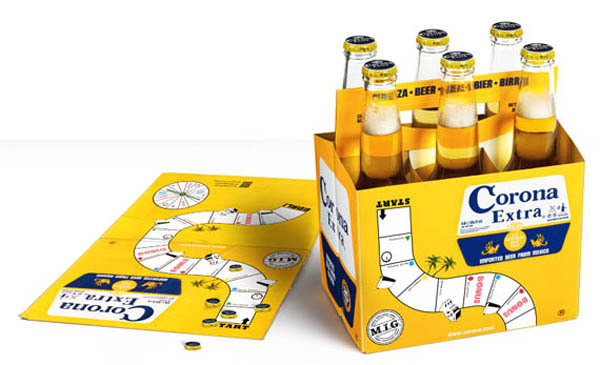 The Corona box game designed by John-John Skoog is an interactive experience using the packaging of a Corona six pack. It's Played by first flattening the package and using the caps as game pieces. You then download an app that acts as dice and provides the rules. Corona is already a go to refreshing summer beverage.This would only add to it's greatness. The Corona Board game is simple, smart, and cool and we hope to play it this summer on our search for cool things.